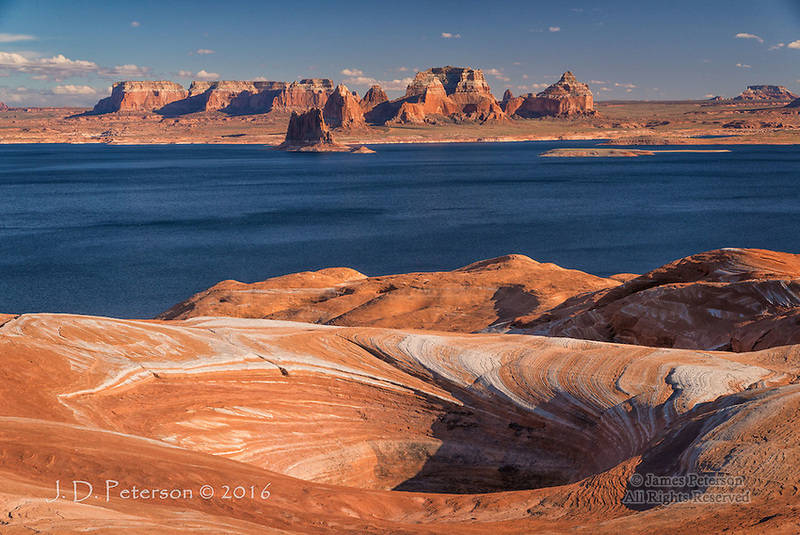 View from Weathering Pit Ridge, Lake Powell © 2016 James D Peterson. Here's a late afternoon look to the south from a high ridge above the lake. This ridge sports a number of these deep pits that were carved by wind and weather.